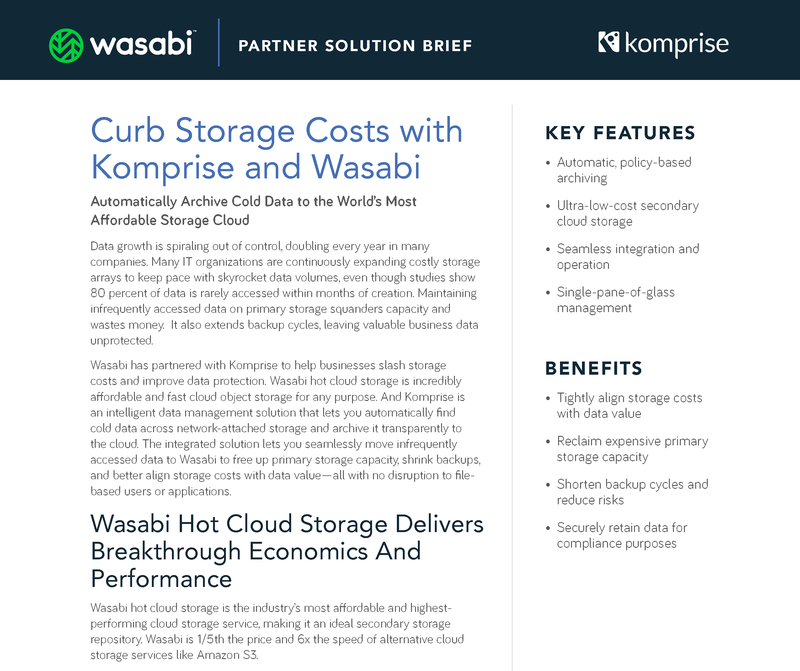 Wasabi has partnered with Komprise to help businesses slash storage costs and improve data protection. Komprise is an intelligent data management solution that lets you automatically find cold data across network-attached storage and archive it transparently to the cloud. Our integrated solution lets you seamlessly move infrequently accessed data to Wasabi to free up primary storage capacity, shrink backups, and better align storage costs with data value—all with no disruption to file-based users or applications. Get a single view of how NAS data across vendor platforms is growing, being used, and what data is hot or inactive and cold. Interactively tune your policies on what data you want to archive and/or replicate to Wasabi Hot Storage and instantly visualize your projected savings. Combine the cost-efficiency of Wasabi with the affordability of Komprise to realize 70%+ savings on every terabyte—without upfront investment. Our linear, scale-out architecture enables you to start small and scale-on-demand. 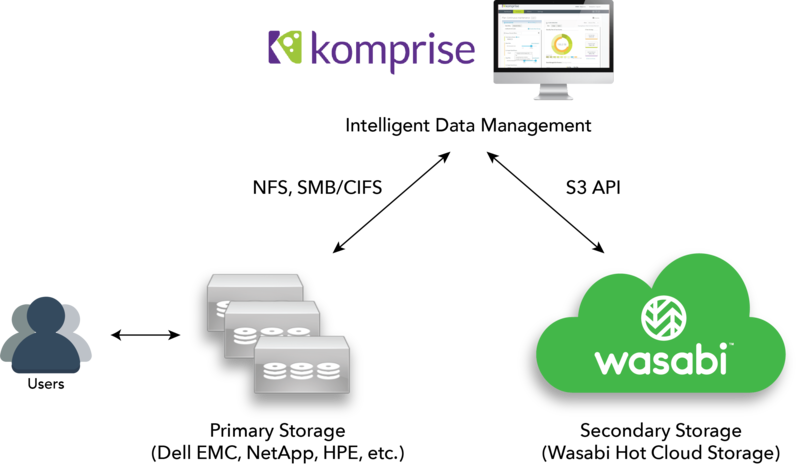 When Komprise moves data to Wasabi, the moved data is still accessed as files from your NAS or as files or objects from Wasabi. This means zero changes for users and applications so there is no disruption.